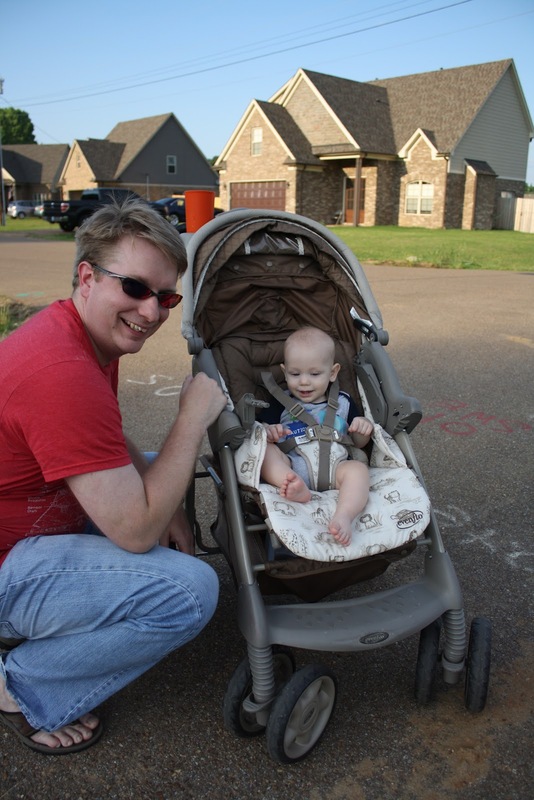 We love to take walks around the neighborhood. Chris and I have done it since I was pregnant with Sarah. Then when she was born we'd push her around in the stroller. Recently when I asked Sarah if she wanted to take a walk she said, "Yes! I push baby Belle!" And she grabbed her stroller and headed out to the garage for us to take a walk. Now, almost every afternoon if the weather is nice she pushes Belle, or Minnie Mouse and I push Cody. 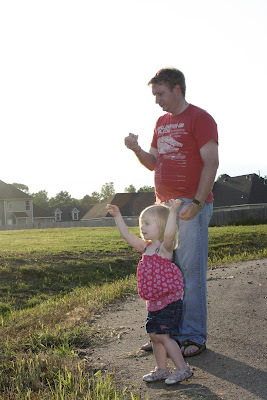 Her favorite thing to do is walk down to the cove at the top of our street to throw rocks into the pond. But today, we convinced her to walk down to the end of the street to see the "monster truck" that was parked down there. It seems like they are going to do some repair work on our road. She had a great time sitting on it and pretending to drive the machine. Even Mommy liked to pretend to drive the heavy equipment. Poor Cody and Daddy, they didn't get a turn. Aww! The first pic is my fave! AND! I love your hair! Looks so good!